Religious Exploration – What Does It Mean To Be A People of Mystery? Our Soul Matters partners are helping us to explore the theme of Mystery in the month of December. 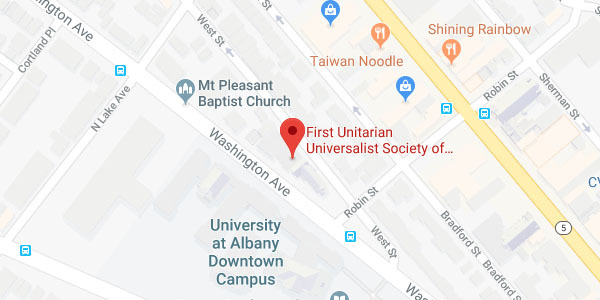 Unitarian Universalists love puzzles. When explaining our faith tradition to others, we often lift up our 4th Principle – A free and responsible search for truth and meaning. Or to put it another way, we love figuring out life’s mysteries. But what if mystery isn’t just something to figure out? The first of our six sources we affirm for our personal and spiritual growth is direct experience of that transcending mystery and wonder, affirmed in all cultures, which moves us to a renewal of the spirit and an openness to the forces which create and uphold life. Slipping, and then falling into the sky. Is there a better way to describe our dance with mystery? That sitting at the heart of mystery is not the unknown, but unity. Its voice is one that whispers, “I am you and you are me.” Mystery doesn’t put up barriers; it dissolves them. Haven’t all of us faced the wonder and mystery of a sunset, the stars, a baby’s cry or a lover’s wet kiss and thought to ourselves, “Who I am does not end at the barrier of my skin”? So many opportunities to slip into the sky and let it slip into us. Let’s put down all the puzzling and the figuring out. With the love and support of our community, let’s put aside our puzzling just long enough to notice that life isn’t simply trying to challenge us. It’s also trying to connect with us. In December, we’ll offer many opportunities for you to join in community as we celebrate and experience the holidays. The holiday tree decorating is at coffee hour this Sunday, Dec. 9; our service with the pageant on the 16th will invite everyone into the mystery of love and the birth of a baby; the Solstice Celebration on the afternoon of Dec. 22 will honor the return of the sun with noise and energy; we’ll join together for the Sunday service on Dec. 23 to sing songs and listen to stories; the candlelight services on Christmas eve invites us to engage in mystery and peace; we’ll have an all ages play day in Sunday school on Dec. 30 to help the children and youth engage in fun, gratitude and friendship. In this season of the light of hope and the peace of darkness, I hope you’ll join us. May both big celebrations and small ordinary moments invite you to “fall into the sky” and may those experiences of mystery offer deep meaning in your life.